After being on holiday last week, it's back to my workroom. 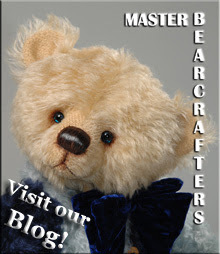 I am presently working on my whimsical bears. This year, many of them will be clothed. I picked up some hanks of beautiful lace weight angora as well as a silk and mohair mix. The angora takes hand dyes beautifully and is incredibly soft. It knits up into beautiful cardigans and dungarees. 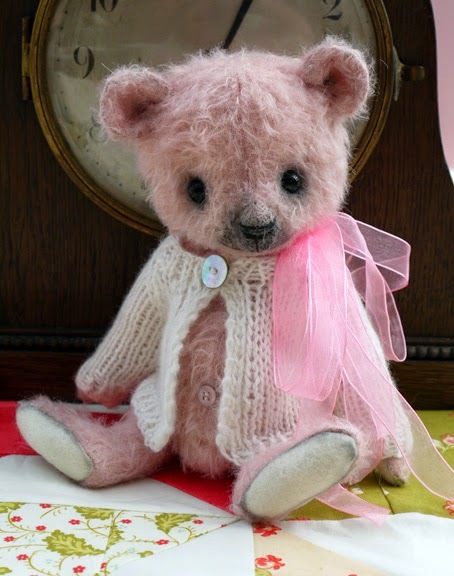 Pictured below are two new teddies that won't be making it to Hugglets as they have just been adopted by Kerryann. 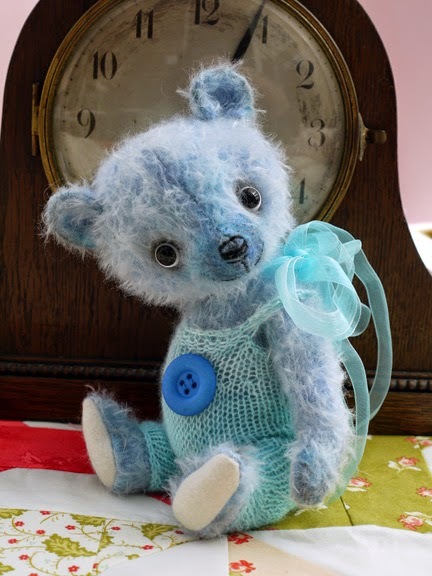 I hope to post some images of teddies coming to Hugglets a week or two before the show.